Do I Really Need A New Roof? Time For A New Roof? How To Know For Sure! Is it really time to replace my roof? This is one of the most difficult questions for a homeowner to get an unbiased answer to. The answer to this question can be somewhat subjective. If a roof is being replace due to age and the homeowner is simply seeking proper function, a roof may not need to be replaced until it actually begins to show signs of leaks. In 99% of the scenarios there are more factors involved than pure current function. We will try to help answer this question under the two most common scenarios. 1. A storm came through and damaged my roof. 2. Its been 15 years and my roof looks like it may need to be replaced. So you had a storm roll through and several of your neighbors are having their roofs replaced due to storm damage. Your roof looks fine and you don’t have any leaks. Do you really need a new roof? The short answer is most likely yes! Your roof may not be damaged to the point that it needs to be replaced today but storm damage can significantly shorten the life of your shingles and your homeowners insurance is designed to cover you and your home from these types of losses. Up to 75% of the new roofs installed in the Columbia/Lexington SC area are a result of storm damage. Have your roof inspected by a local roofer that has extensive knowledge of the insurance industry and ask him/her to share the damage photos with you. Ask your roofer to meet your insurance adjuster at your home and show him/her the damage they have discovered. 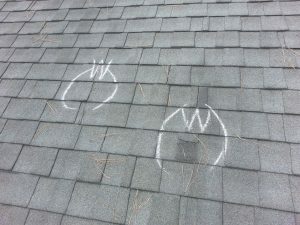 A roofer well versed in how storm claims work can make this process very simple. If Sands Roofing & Construction can help please call 803-520-6154 to schedule an inspection by a licensed insurance professional and a licensed roofer. Often times a roof is simply close to its expected life span. In this case the roof may need to be inspected just to try to narrow down how much potential life span the roof may have left. As a homeowner you may want to be able to periodically check the condition of your roof. One of the most effective ways to test the condition of the roofing mat is to preform a brittleness test. We recommend having a licensed roofer preform this test along with a routine maintenance inspection, but for the DYI homeowner we will explain what the test involves. Stand a ladder up to the roof and be sure to have it extend 2 rungs past the eve. Carefully peal up a single shingle tab and bend it at a 90 degree angle then release it. If the shingle creases at the top or breaks your roof is nearing the end of its life span. 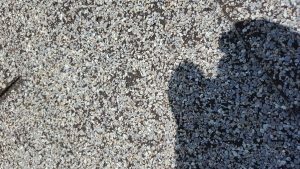 Granular loss is not necessarily a determining factor as it pertains to remaining roof life but excessive granular loss can be an indicator. 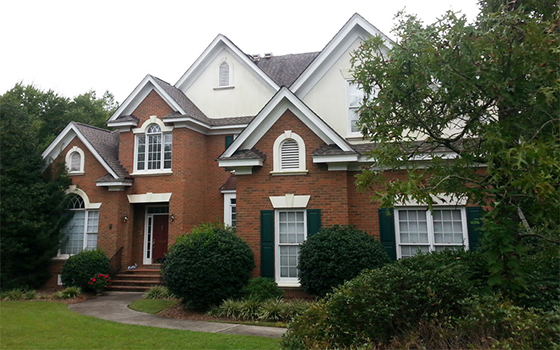 Sands Roofing & Construction offers a maintenance program. Sands Shield is an inexpensive way to keep your roof in tip top condition.